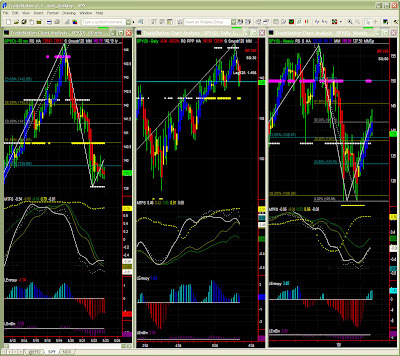 Dominant TF: Daily, Weekly then followed by the weekly chart. Market Direction (daily): congestion to minor upper bias overall. Volatile. Yesterday was relatively quiet, but pressure on the $ could impact the markets again. The pause we anticipated on last post proved to quicly turn into a substantial retracement at this time frame. 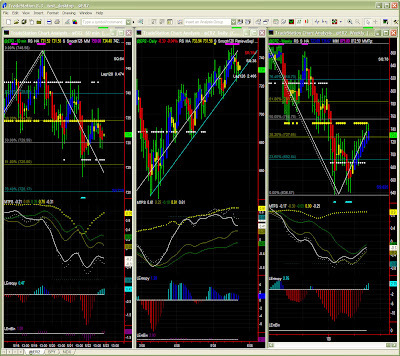 MTFS is still looking bearish so SPY could reach 100% retracement around 138.50 which also close to MM stall level. SPY is now congesting ahead of target level around 145/146. We will check channel lows for support. SPY could also retrace to 137.50 which happens to be MM + Fib PR1 (38.2%). This should not impact the up trend significantly overall. 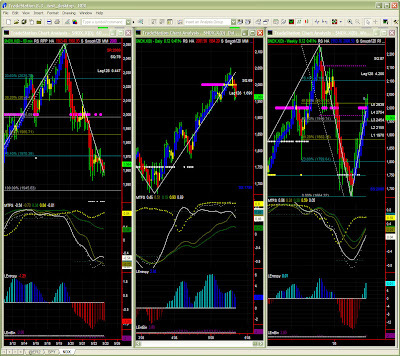 While lower time frames point toward congestion or some retracement, the weekly time frame does not look too alrming. We know the current MTFS pattern has not completed in oversold territory so a pause is necessary in any case before going higher. As mentioned on last post: Over the longer term there is no evidence of a straight path to last year's highs.